As one of California’s last soda jerks at age 15, Michelle Fuerst began her career in food. After cooking in various Bay Area restaurants, she ultimately landed at Zuni Café and Chez Panisse, both pioneers of the local and sustainable food movement. At Zuni Café, Fuerst climbed the ranks in the kitchen and learned the foundations of rustic Californian cooking. She further refined her skills as a serious cook at Chez Panisse. Her exploration in the culinary world has taught her where good ingredients come from, the integrity of a simple meal and the larger impact this awareness has on the world. Additional experiences include working for Judy Rodgers on her cookbook tour and in public appearances, chef Jamie Oliver, and authors Diana Kennedy and Niloufer King. Fuerst’s forays into writing can be found in the Slow Food Guide to San Francisco and the civil eats blog. Her work in the culinary arts has been featured in Chow, the San Francisco Chronicle, and on the California Report. 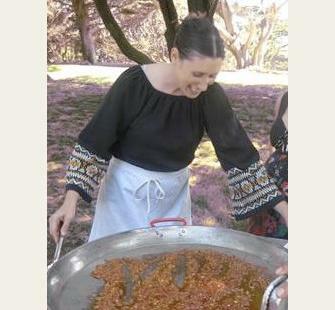 In 2008, she curated the pickles and chutney pavilion for the inaugural Slow Food Nation extravaganza in the United States, which saw more than 85,000 people. In the summer of 2009, Fuerst collaborated with Anya Fernald on canning workshops for the successful Yes We Can project in San Francisco, which has helped inspire home canners across the country.